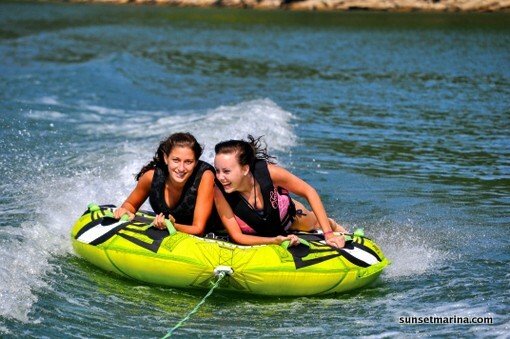 Enjoy Dale Hollow Lake at Sunset Marina and Resort with lake cabin rental, houseboat rental, lake chalet rental, boating, fishing and other water sports, dockage rental, dining, shopping and other lake vacation activities at Dale Hollow Lake’s most accessible marina. Dale Hollow Dam is located on the Obey River, 7.3 miles above its juncture with the Cumberland River at river mile 380.9. Dale Hollow Lake covers portions of Clay, Pickett, Overton and Fentress Counties in Tennessee and Clinton and Cumberland Counties in Kentucky. 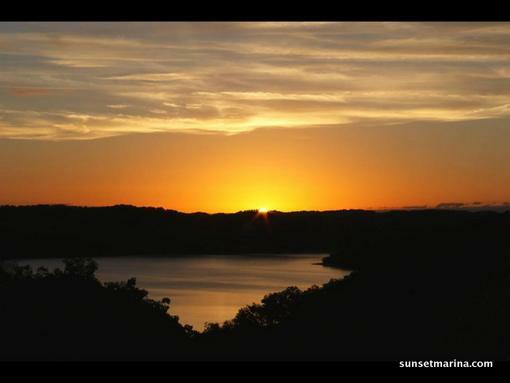 Sunset Marina is located in Pickett County. The entire shoreline is under the jurisdiction of the U. S. Army Corps of Engineers. The length is 620 miles at normal summer pool. Most of the shoreline is heavily wooded, and rock outcroppings are common. Development is restricted to marinas and day-use areas. The Lake consists of 27,700 surface acres of water and 24,842 acres of surrounding land. The lake abounds with fish and wildlife and is the home of one of the largest wintering Bald Eagle populations in the area. The magnificent birds are generally seen from mid-December through mid-February. 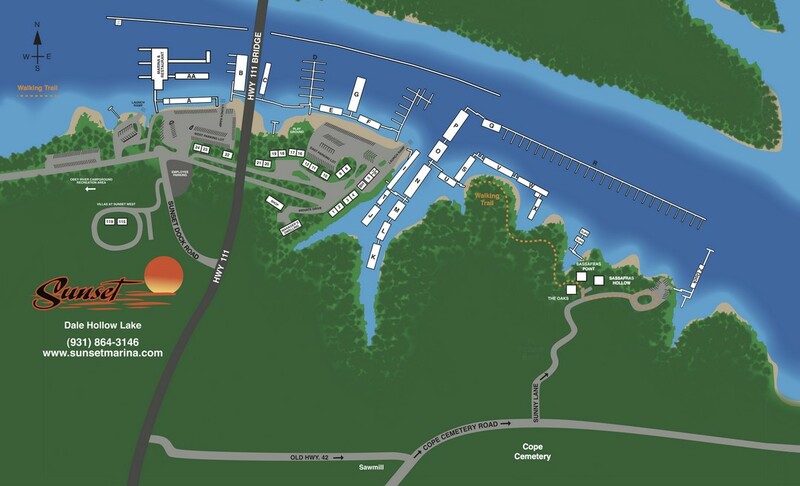 The Corp of Engineers page about Dale Hollow Lake, including numerous resources about fishing and water activities are included here. 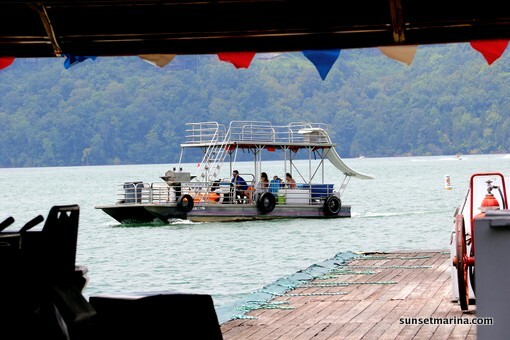 Dale Hollow’s crystal clear waters makes scuba diving a popular pastime. Divers must display a “Diver Down” flag in the area where they are diving. Boaters should be alert to the “Diver Down” flag and keep a safe distance away. For more information on scuba diving and boating regulations, contact the Tennessee Wildlife Resources Agency 1-800-262-6704. 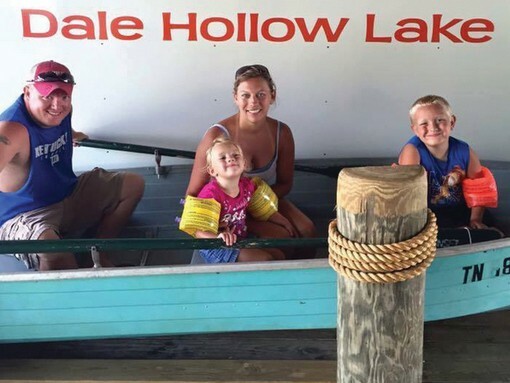 For maps, brochures, information about things to do and more about relocating to the Dale Hollow Lake area permanently, visit Dale Hollow Lake.